Top Left handed Recurve Bow-Hand-Orientation in Archery. Yes, your ocular dominance is what you need to consider before you decide on which hand to hold the bow with. Basically, ocular dominance is the visual advantage of one of your eyes over the other. Parallax is present in our everyday life yet most of us don’t know what it means. It refers to the ability of our eyes to present two different perspectives for our brain to process, and it’s the same for all of us. Usually, one of our eyes sees better than the other and that’s why we can see objects at slightly different distances when we close either one of the eyes and compare it to the other. This is also the reason people with myopic or hyperopic sightedness usually have differently sized lenses for both eyes. So, which hand to shoot with? If you’re lucky, your ocular dominance will align with your dominant hand, but if it doesn’t, it is considered more beneficial for accurate aiming that you learn to shoot with your weak hand – There definitely are a lot more left-handed archers then previously assumed. 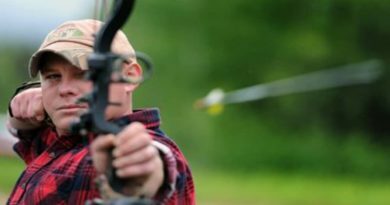 Obviously, archers with the suitable dominance of eye have the advantage to begin with, but a weaker hand grows to adapt quicker than the strong hand, which is already conditioned to perform many other tasks. On the long run, it is an even competition; not so much for those shooting with the wrong eye open, though. The indefinite number of left-handed archers is one of the many reasons we have decided to review our top picks for left handed recurve bow alongside the general review for top recurve bows for beginners. Another dominant reason is the availability of these machines for left-handed folks. It took us about twice as long to source these, even though some of the models were same in both categories. So without delay, let’s unveil the top recurve bows for left-handed archers. If you’ve read our previous posts, you have definitely memorized the name “SAS” and you are probably an expert on the Spirit 62” by now. 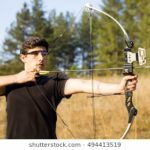 The reason why it ends up on most of our lists is quite simple – It is probably one of the most-efficient, significantly accurate, and a very stable practice bow. The Spirit is also available in many other lengths and for what it’s worth, it overperforms in every aspect. We’ve said this too many times, but it is worth mentioning again that SAS’s quality is impeccable. We found that the left handed recurve bow version of the Spirit 62” is nothing different from the right-handed, except that the strings are aligned perfectly according to hand orientations. This provides just the right amount of drift when letting one loose. The material used is also the same Southland Archery Supply standard – Fiberglass coated limbs built with maple lamination and the riser made from some of the highest quality of woods found in Asia. Just like other SAS models, this too is very sturdy and flexible. This 62-inch Spirit adds more draw weight options when compared to other starter bows in its range; not the one we will mention later. 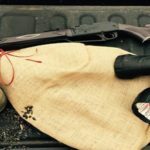 If you want to get used to it and then take it for a hunting spin as well, make sure you pick a higher draw weight (The options range up to 36 lbs., starting from 22). Although you should be aware that this bow might not be able to effectively take down heavily built animals, it is still good for an occasional rabbit, deer, or elk kill-shot from quite some distance. It comes with a 3-year limited manufacturer warranty and the resellers also make it a point to deliver it on time. The new model also has pre-drilled holes in the riser to allow easy installation of the accessories you like. The only downside here is that the bow does not come with any of them at all. Although it is quite easy to nock the string and install an arrow rest on the riser, you will not get a rest or even any arrows along with it. 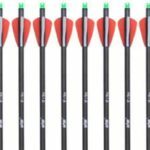 The most searched and reviewed left handed recurve bow on the web and in stores is the Samick Sport’s Sage – A beginner to intermediate Recurve Bow. It is also a 62-inch bow available in both left and right-hand orientations. If you’re after some really good quality and still want to stay in the budget while purchasing your kit, then this elegant yet affordable model will blow your mind away. 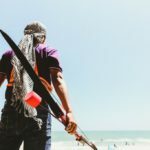 Samick Sports is a Korean company that has been manufacturing bows for over 40 years now and they have built a lot of reputation and fan following in this domain. 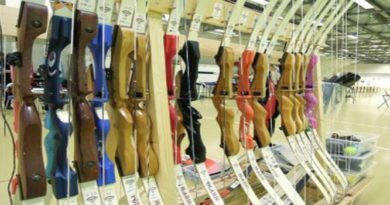 They market their products in more than 50 countries making their bows one of the most accepted models worldwide. The Sage is quite famous on its own too and because of that, the accessories specifically designed for it are easily available. Not just that, Samick Sports have their own hunting kit that you will absolutely adore along with this particular bow. 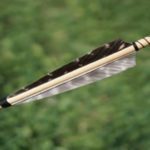 But to start shooting at once, the beautiful riser comes with powerful and long-lasting limbs, a string, and an arrow rest. Just get some arrows and targets, and you’re good to go. The metal design of the limb pockets in the riser gives them a sturdy hold for a very long time and it is very easy to source limbs with a different draw weight for hunting upgrades or family-fun downgrades. Samick Sage is a risk-free choice for hunters and practicing archers alike. It is much quieter than the SAS models and that’s why archers who tend to hunt from time to time prefer this over the former. The limb tips are reinforced with plastic to ensure flexibility when upgrading to higher performance strings. Either way, you will not find any noticeable vibrations in the stock package as well. The Samick Sage is available in 25 to 60 lbs. of draw weights – It was undoubtedly made for everyone. We recommend that the 35 lbs. model is optimal for practice while 40 lbs. and above will give you very accurate kill shots while hunting. You can easily shoot down your targets from farther away than 30 yards with unbelievable accuracy. Both of these bows are great returns on investment and even though you might feel our review could have hyped them a little, you will still be surprised when you get your hands on one of them. For the immense joy of bullseyes and providing dinner for your family, choose either one of these bows and do yourself a favor. At these prices, there is nothing to lose. I don’t prefer you to blindly depend on me, also check here for customer reviews of SAS Spirit 62”, Samick Sage, and to make a strong mindset about, which recurve bow would best for you. 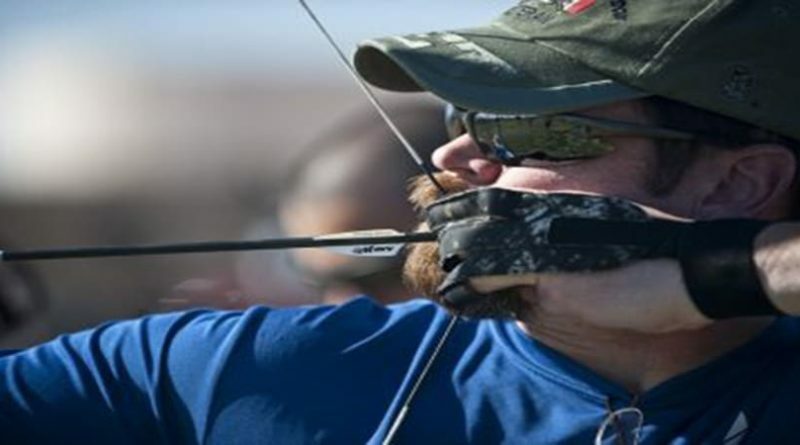 Check best recurve bow buying a guide. My all recurve bow reviews are here, you can check. Anytime go to our home page by clicking here. 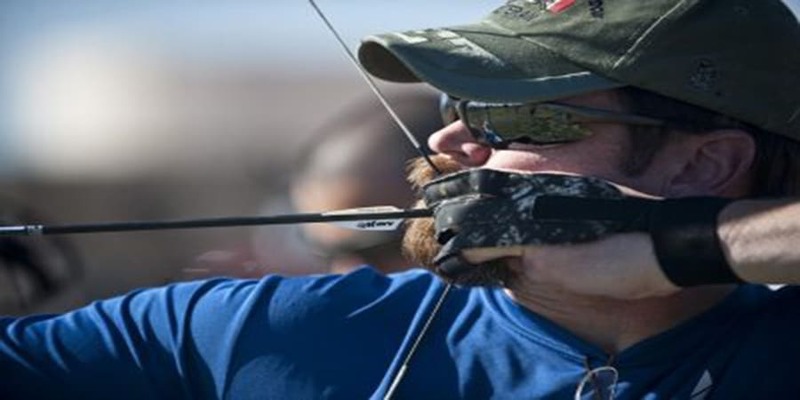 ← Best Recurve Bow for Beginners. 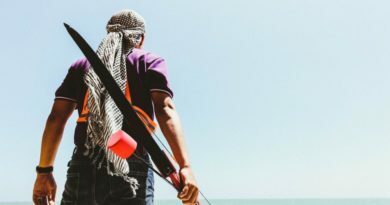 May 3, 2018 Istiak Fahid Comments Off on How do you choose the best recurve bow?